Nashville Public Television’s original documentary, The Early Black Press: Tennessee Voices Lifted, received an award in the documentary/historical category at the 32nd Annual Midsouth Regional Emmy Awards on Jan. 20, 2018, at Nashville’s Music City Center. Statuettes went to producers Ed Jones and LaTonya Turner. The Early Black Press premiered in April 2017 and is the second documentary in The Citizenship Project, a series of NPT productions that looks at how different groups have fought for, obtained and maintained the rights and access we commonly associate with American citizenship. Major funding for The Early Black Press was provided by the Tennessee Civil War National Heritage Area and the First Tennessee Foundation. NPT’s next Citizenship Project documentary, A Time of Joining, premieres Thursday, Feb. 22, 2018, at 8 p.m. and will be followed at 9 p.m. by a broadcast of The Early Black Press. NPT productions went into the 32nd Annual Midsouth Regional Emmy Awards with six nominations. 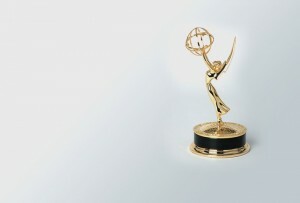 For a full list of this year’s winners please visit the NATAS-Nashville Chapter’s website at https://emmynashville.org. This entry was posted on January 22, 2018 at 8:02 am. You can follow any responses to this entry through the RSS 2.0 feed. You can leave a response, or trackback from your own site.